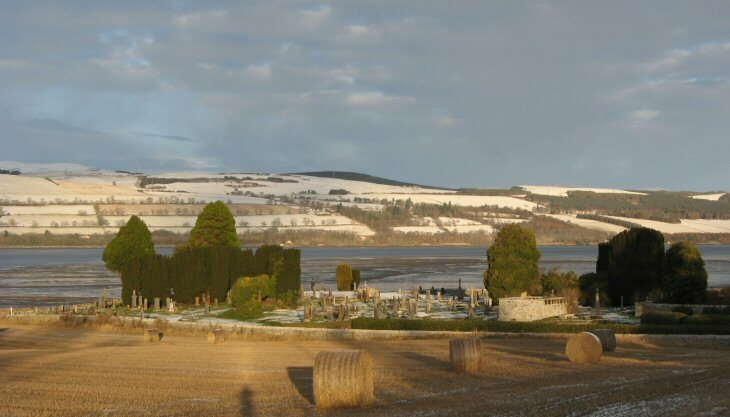 Ross & Cromarty Roots | Urquhart Old Burial Ground. A long-established sacred site on the north side of the Black Isle. It sits between the shore of the Cromarty Firth and the B9163 road almost 4 miles NE of Conon Bridge. There are many old tables stones and many now under the turf. The modern Urquhart cemetery is a few hundred metres to SW.
Have quite a few family members buried here. Added by H fraser on 13 July 2018. Have a lot of my family buried there, been to the grave yard a few times.Visited some of there graves, so glad I put flowers down on my great grand dad and his parents grave.Also stood beside my 3 x great grand father grave there.Was a honour to go there. Added by Irene Fisher on 07 October 2018.